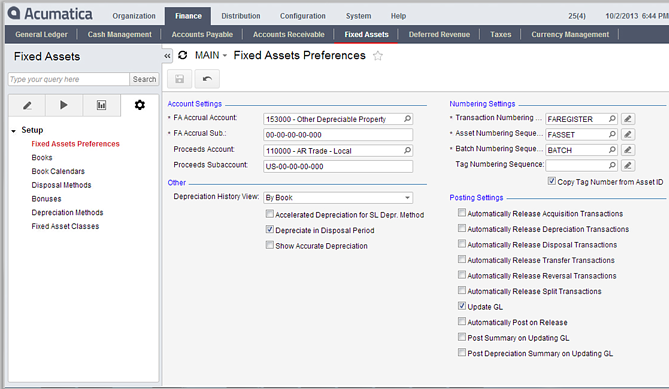 The Acumatica Financial Management Suite Fixed Assets (FA) Management module provides complete visibility into your assets and depreciation calculations. 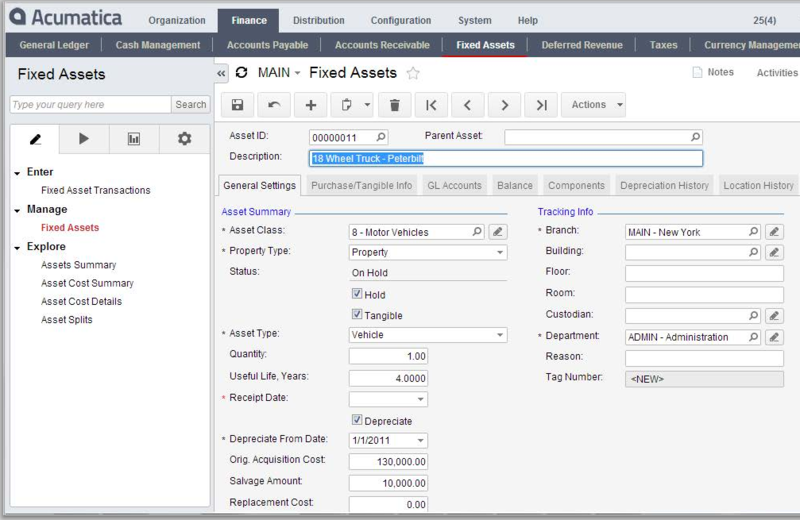 Using this module you can add fixed assets from AP purchases, import them from a file, or add them individually. Depreciation schedules are automatically created and detailed reports are available. The Fixed Assets module is integrated with all other financial modules and sold separately from the rest of the financial suite. Create, approve, and fulfill sales orders from anywhere using any popular web-browser. Account for assets from the time they are acquired until disposal. Enter information only once during a lifecycle since assets are shared by all modules and reports. Configure depreciation schedules with a predefined method, averaging convention, useful economic life, and recovery period. If needed, configure your own schedule. Automated entry, depreciation schedules, and workflow save you time and ensure that accumulated depreciation, asset values, and asset class balance reports are always up-to-date. Drill down reports and dashboards provide access to past information and insights into future needs to improve business decisions. Use one of several included reports or design your own with the module’s report writer.